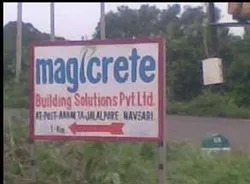 Magicrete Building Solutions Pvt. Ltd. is one of the largest manufacturers of Autoclaved Aerated Concrete (AAC) blocks in India with an installed capacity of 400,000 cubic meters in a fully integrated automatic manufacturing facility. 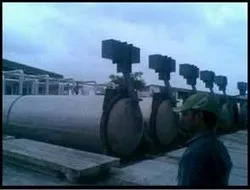 We were founded with the vision of introducing prefabricated construction technologies to the Indian construction and infrastructure industry and over the years, we have emerged as one of the largest producers of AAC blocks with 2 manufacturing units in Gujarat and Haryana covering the strategic markets of West and North India respectively. 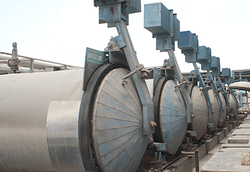 We are a part of a diversified conglomerate having an aggregate turnover of over Rs. 5 billion and business interests across textiles, chemicals & real estate. The Company focuses on innovation and has a fully equipped R & D and quality testing laboratory to ensure that each batch of product can be traced back to its inputs. AAC blocks are the most cost effective and eco-friendly material substitute of traditional red clay bricks. It is recommended by Indian Green Building Council (IGBC) as for material of choice for LEED certification and offers cost savings up to 40% due to huge savings in structural costs and increase in floor space area. It is termed as the wonder building material. Our product range are AAC Blocks, Light Weight Blocks, Dry Mix Products, Block Joining Adhesive, Mortar Adhesive, Gypsum Plaster, Wall Plaster, One Coat Plaster and many more. MagicBond® - a high-strength, adhesive mortar for quick-laying of AAC blocks. Infrastructure ready to handle dispatch of 100 trucks per day. Automated pelletizing systems, crew of fork clips. 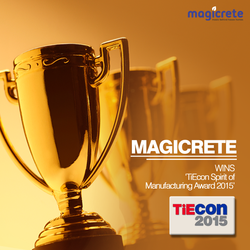 Tiecon 2015: Awarded Entrepreneur of the year. 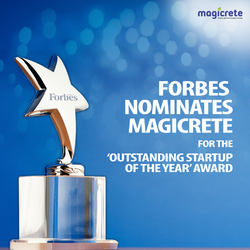 We at Magicrete Building Solutions Pvt. 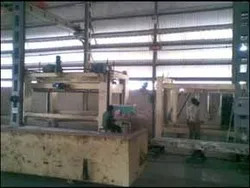 Ltd. continually strive to attain global leadership in AAC Blocks manufacturing. India's top 3 AAC players with 800,000 CBM annual installed capacity. Strategically located within 250kms of major urban centres and thermal power plants. Present in 14 states, top 30 Indian cities through more than 2000 retail outlets. Operational excellence achieved through TPM (Total Productivity Management), use of BSC (Balance Score Card) as a strategic tool and SOP (Standard Operating Process) driven system. Sourabh is the Chief Executive officer as well a co-founder of Magicrete. He is an Industrial Engineering and Management graduate from IIT Kharagpur. 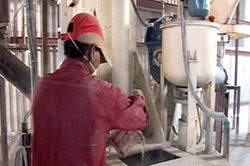 Prior to Magicrete, Sourabh had worked in minerals and chemicals businesses. Apart from the strategic growth of the company, Sourabh also takes care of the marketing and distribution activities. Puneet is one of the co-founders of the company and as qualified chartered accounts, he looks after all financial affairs and investment plans of the organization. Being a member of the board, Puneet also looks after the strategic and operational growth of the company. Sidharth is one of the Directors of the company and currently looks after Magicrete’s business in North India. He pursued Engineering in the field of Engineering Physics from IIT Delhi and MBA from IIM Lucknow. After working with prestigious employers including Mckinsey and Company and Motilal Oswal Funds, Sidharth joined Magicrete to oversee Magicrete’s expansion in North India. Management Team: A young pool of professionals from IITs and IIMs with an average age of less than 30 years. Advisory Team : An excellent board with extensive experience (individual experience of more than 25 years) in textiles, real estate and chemicals. Finalists in VC Circle Manufacturing Start up of the year 2014. 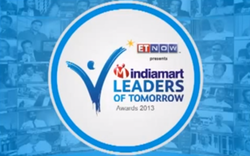 Among the top 50 companies in "Indiamart - Economic Times Leaders of Tomorrow" awards. 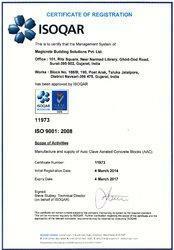 Received ISO 9001:2008, ISO 14001:2004 & BS OHSAS 18001:2007 certification. We endeavor to achieve maximum client satisfaction through delivering quality products at cost-effective prices. Our ethical business policies and transparent dealings help us in maintaining long term relations with our clients. 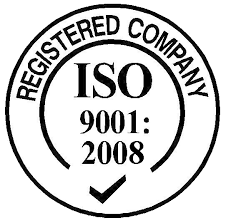 Our professionals take extreme care to maintain quality standards at all stages of operation. Further, they pay close attention to what clients want and utilize their skills to meet the same. In addition to the quality range of products, we also ensure customized transportation, easy payment modes and timely delivery of the range in order to maximize clients' satisfaction.